Bollywood diva Aishwarya Rai Bachchan is one of the few actresses in the industry who has never disappointed the paparazzi at the airport. The Sarabjit actress made heads turn with her latest appearance at the Mumbai airport on January 23, 2019. Aishwarya looked gorgeous in an all black outfit and styled her look with open straight hair and some make-up and white sneakers. The actress was a part of a brand event that she endorses and looked gorgeous. 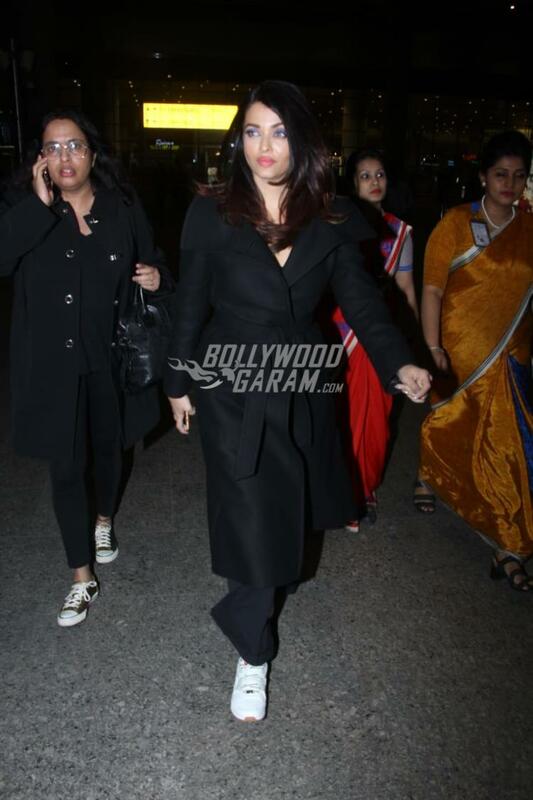 Aishwarya was snapped arriving back and was snapped at the airport and looked gorgeous in a long black coat, black pair of trousers and white sneakers. The actress had also shared a few pictures from the endorsement event on her Instagram account. Aishwarya can be seen looking gorgeous in a golden outfit with her hair left open and striking eye make-up. On the work front, Aishwarya will be seen with her husband Abhishek Bachchan in the upcoming film Gulab Jamun. 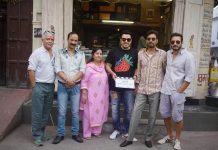 The film will be produced by Anurag Kashyap. The couple was earlier seen in the film Raavan in 2010 and the audience is eagerly waiting to see the couple sharing the screen space again.